When the new batch of women enters the Officers Training Academy in Chennai on September 30 for a 10-month rigorous course to become officers in the Indian Army, it will have among them two women who have already conquered a battle of their own. Rediff.com's Archana Masih speaks to Nidhi Dubey and Swati Mahadik who will join the Indian Army as officers just as their deceased soldier husbands did before them. IMAGE: Nidhi Dubey, left, wife of a deceased jawan, is joining the Officers Training Academy to train as an officer in the Indian Army. Photograph: Kind courtesy: Jailaxmi Vinayak. When Nidhi Dubey boarded a train from Bhopal to Chennai on Wednesday, it was a journey which was a culmination of a seven-year struggle. In the run-up to the journey, she had been waking up early in the morning to go for a 5 km run, spending time at the gym and practicing swimming in the evening. In between all that, she was organising her paperwork and spending as much time with her 7-year-old son, whom she had left behind with her mother in Sagar, Madhya Pradesh. Nidhi's soldier husband Naik Mukesh Dubey had died of a cardiac arrest in 2009, a year after their wedding -- she had hardly stayed with him for 4 to 5 months in that year. 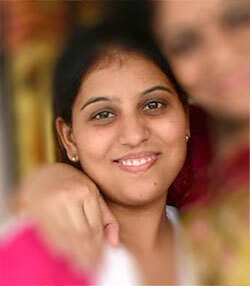 Widowed at 21 and four months pregnant, she returned to her parents' home in Sagar. Five months after her husband's passing, she gave birth to a son. 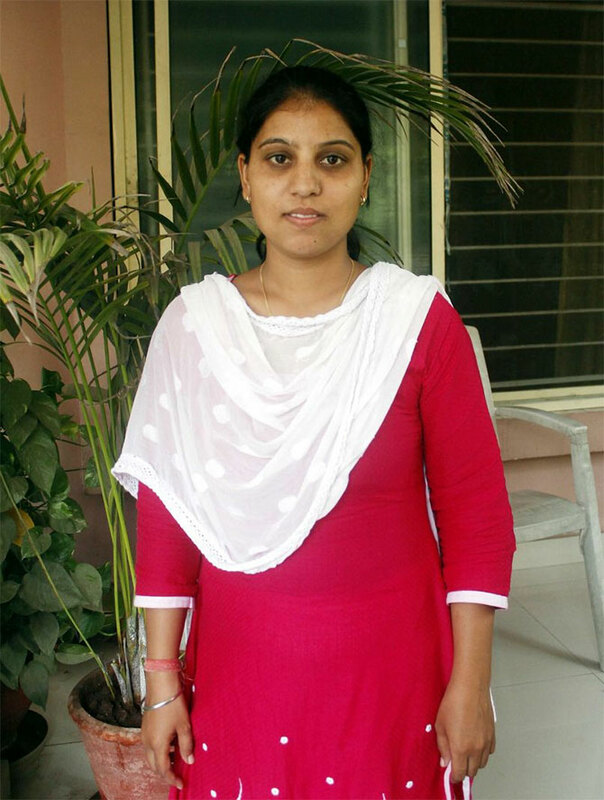 Nidhi then decided to do an MBA in Indore and later taught in the Army School in Dhana. A few years ago, she came across an advertisement in the newspaper which said that widows of armed personnel could join the armed forces. Nidhi Dubey's heart was set. She began training to become an army officer. "I decided to join the army in 2014. I had the passion that I will make it," Nidhi says over the phone from Sagar. She drew a widow's pension of Rs 8,330 which was 30% of the last salary drawn by her husband and was determined to rebuild her life in the army once again. "She would wake up at 4 am and go for a run, go to school after that, help her son with homework, do her own preparation for the entrance test, finish the house work and spend time in the gym every evening," says Jailaxmi Vinayak, wife of retired Brigadier R Vinayak in Bhopal, who was one of the many who rallied in their support for Nidhi. The Mahar Regimental Centre to which her husband belonged gave her special permission to attend Service Selection Board preparatory classes only meant for jawans. IMAGE: Nidhi Dubey is the mother of a 7-year-old son. She decided to join the Indian Army in 2014. Photograph: Kind courtesy, Jailaxmi Vinayak. But it wasn't easy. Nidhi appeared for the entrance test five times and only made it in the fifth and final attempt. However, there was one more problem. Though she had cleared the exam, there was only one vacancy for a war widow at the Academy ,but there were two widows who had cleared the 5-phased Service Selection Board exam for that one vacancy. When Brigadier R Vinayak heard of this during an interaction with war widows in Madhya Pradesh, he advised her to write to Army Headquarters requesting an additional vacancy. The army finally agreed. 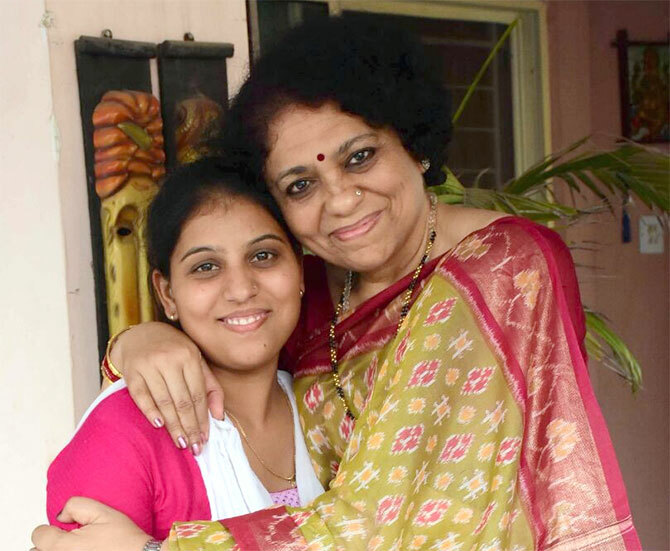 "I want to be a good officer, able to take right decisions," says Nidhi, "I also want to send my son to a Sainik School so that he too can join the army like his father and mother." At the Academy, Nidhi will be joined by the courageous Swati Mahadik, the wife of martyred Colonel Santosh Mahadik, who sacrificed his life battling terrorists in Kupwara in November last year. Swati says she had decided to follow in her husband's footsteps when she was bringing his coffin from Udhampur to his native Satara in Maharashtra. "I could see him in a mirror in his uniform. 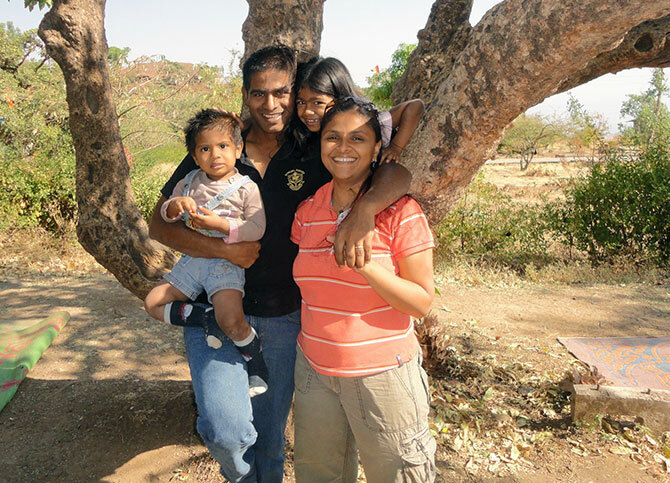 It was first an emotional decision, but later on I resolved that this was how I could give the children and me a disciplined life that Santosh wanted us to have," says the mother of two, over the phone en route from Pune to Satara. "Economically, he had empowered us, but I wanted to be independent and he would be proud that I am joining the army," she says. The defence ministry and the army gave her an age relaxation which she felt removed the biggest hurdle between her and an army career. In the days before joining the Academy, Swati hired a fitness coach to keep up with the tough physical standards during the course. "Santosh was a fitness freak while I did not even enjoy going for walks," she says with a laugh, "He used to say one should sweat in a workout and now I sweat just like him." While her 11-year-old daughter and 6-year-old son are in boarding school, she will be able to have them with her once she becomes an officer. "My daughter is very understanding. I explained to her that she will have to be in the hostel for two years. My son is too young and will be with me in a year. They understand that first I have to settle myself," she says. IMAGE: Colonel Santosh Mahadik with cricketer M S Dhoni. The special forces officer was martyred battling terrorists in Kupwara, Jammu and Kashmir. Talking about her martyred husband, a para-commando who was decorated with a Shaurya Chakra, she says the qualities of Colonel Mahadik that shone through was his hard work, down to earth nature and a leadership that earned him the love of his troops. "He worked as a leader, not as a boss and I would like to carry that," she says. On the cusp of a new chapter in life after an excruciatingly difficult year, Swati Mahadik says she is satisfied. She still cries in grief, but the intensity of the pain has reduced. "I miss him. I know I can't bring Santosh back but apart from that whatever I could get I have got. I feel there is something to look forward to now."